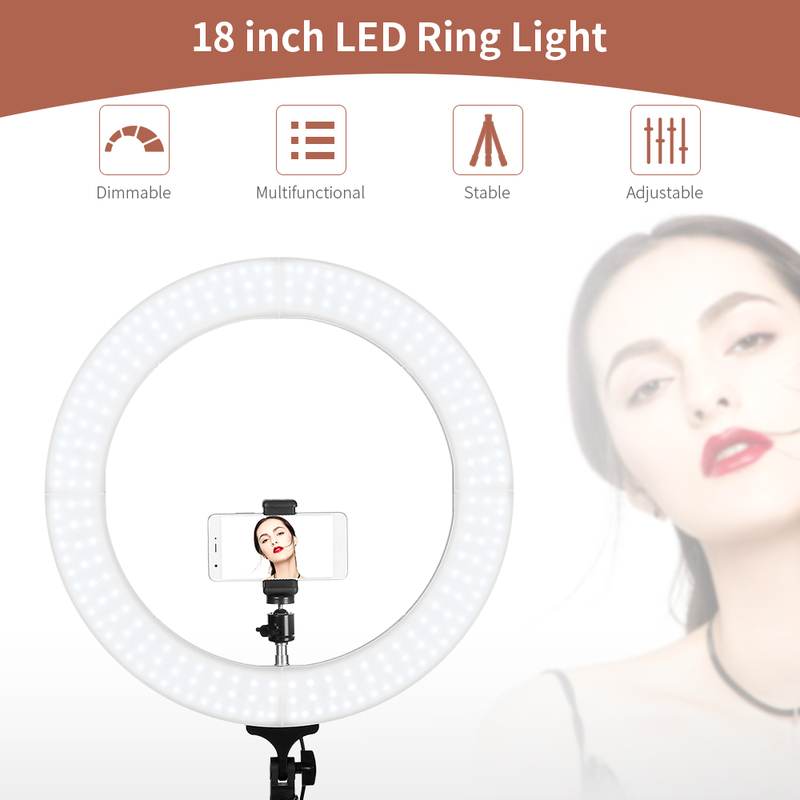 This LED Dimmable Ring Light compatible for iPhone 6 plus/6/5/5S, Samsung Galaxy S6 Edge/S6/S5 and other smartphones, and all cameras. More than 50000 hours service life. 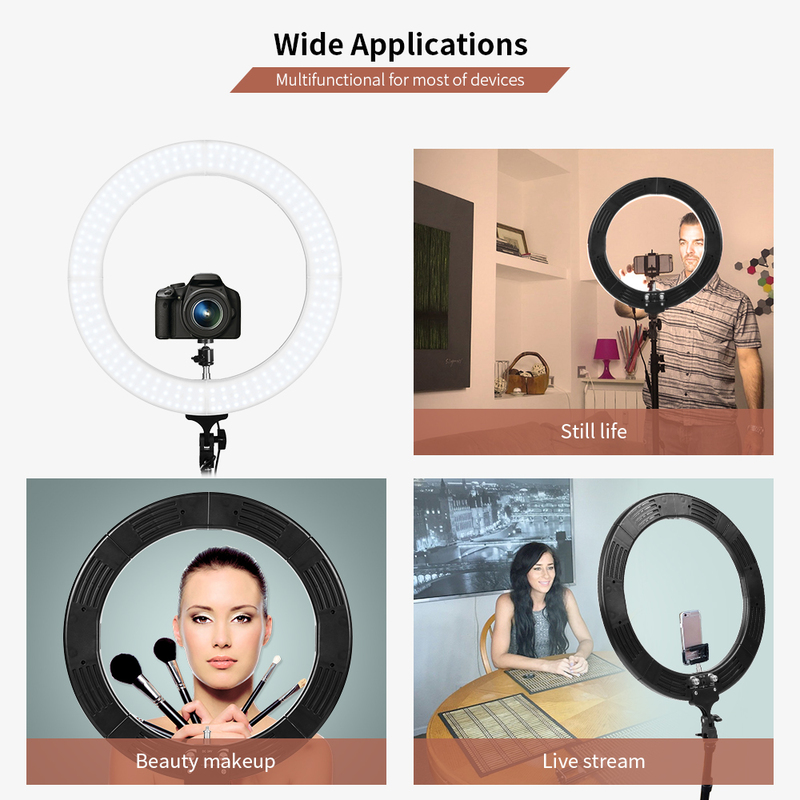 - Removes shadow, especially ideal for beauty facial photo/video/vlog/interview lighting. 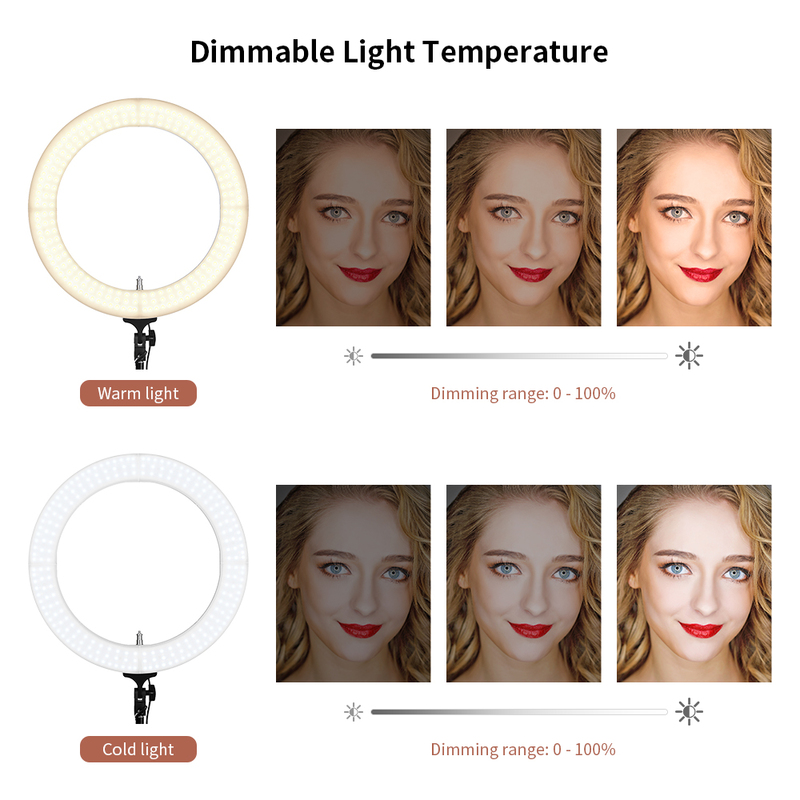 - Adjustable brightness: offering a dual color temperature, 2700 - 5500K, achieving 93pct light efficiency. - Ultra-thin and lightweight small panel, portable, and compact design. 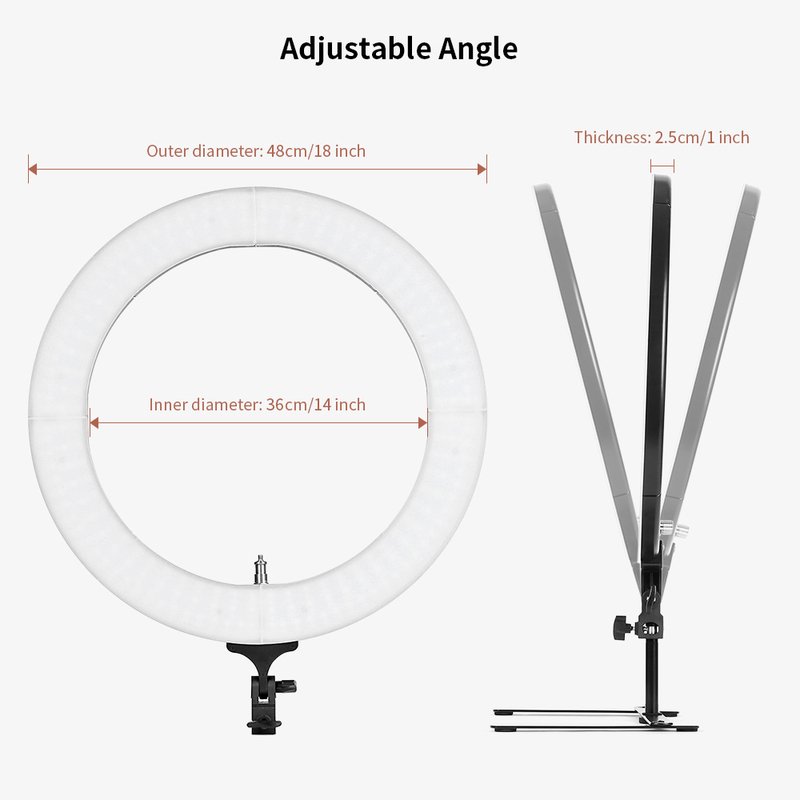 - Easy to set up, mountable on any light stands and with any DSLR cameras with included camera-mounting adapter. 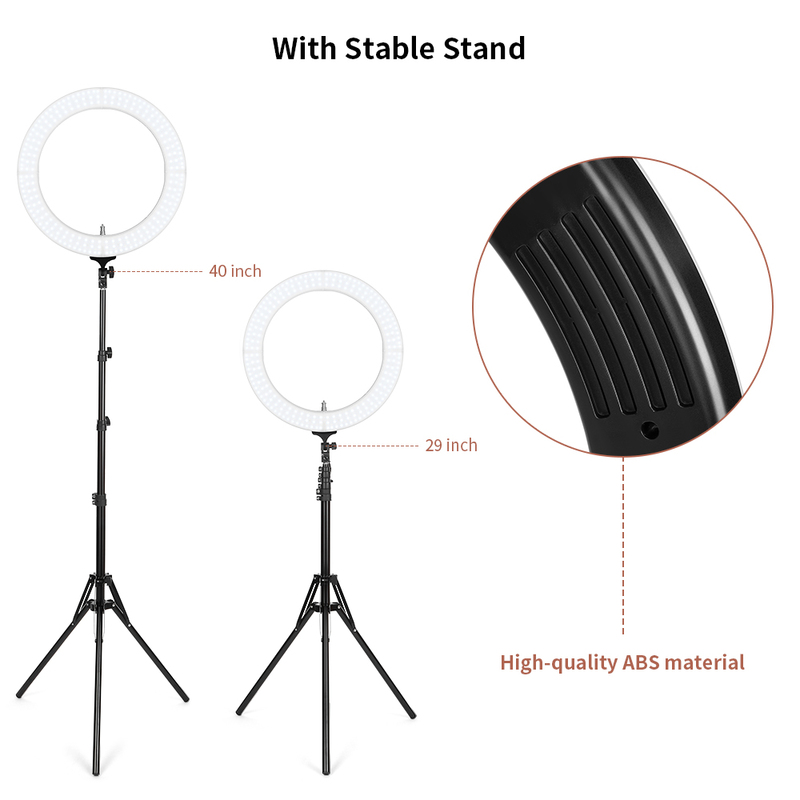 - This light stand is constructed from aluminum alloy, giving it exceptional strength for heavy duty work. 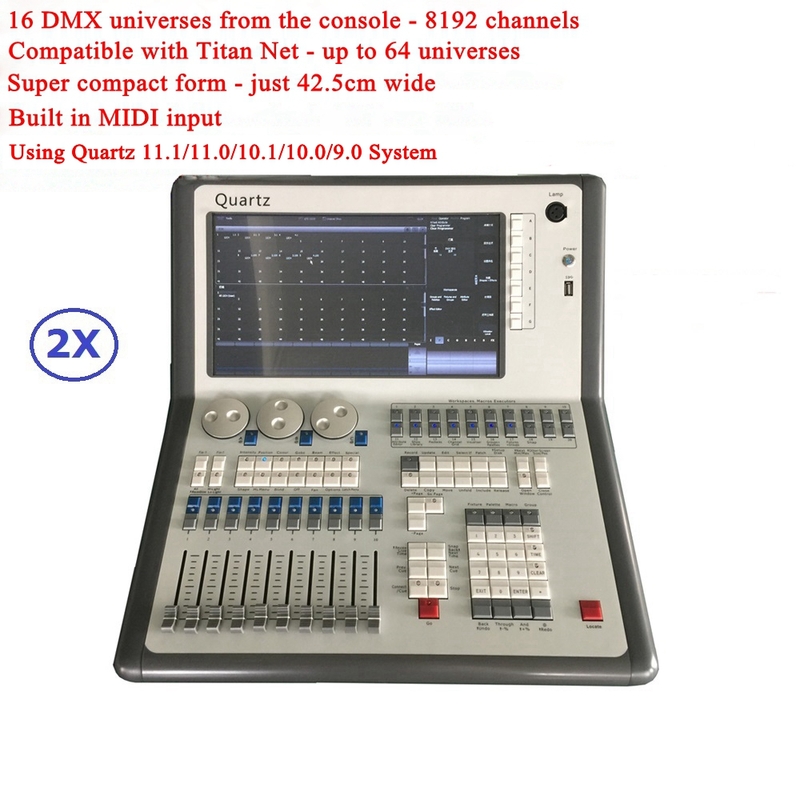 - It is easy and convenient for people to set up and carry. - Its solid locking capabilities ensure the safety of your lighting equipment when in use.